The pharmaceutical production of tablets is practically unthinkable without the use of a sieve or a mill. These are needed whenever active and inactive materials are handled and tablets or other products are being manufactured. Sieving machines and mills are used for milling solids to reduce their size. This fulfils two purposes. Firstly, it expands the particle surface, which increases the speed of dissolution. Secondly, it evens out differences between particle sizes to ensure that mixing can be homogeneous. Due to their versatility, milling and sieving machines play a crucial role in pharmaceutical production. They can be integrated into complex production lines, for example for filling/emptying or transfer operations at process machines, or for filling and decanting containers. Decisive factors for the use and functionality of mills and sieves include their flexibility and the fact that the equipment requires very little room. In particular in pharmaceutical clean rooms where there is often not much space, the small footprint of these systems is a great benefit. In addition, certain sieving systems and mills are equipped with built-in lifting columns so that they can be integrated into almost any conceivable process scenario. Another feature that increases the efficiency of the processes is the mobility of the machines. For use or for cleaning, they can be moved or even disassembled quickly and easily. However, mills and sieves are subject to constant development and improvements. In addition to some current trends, this article presents an example of how the use of new hammer mills achieved an increase of production efficiency. 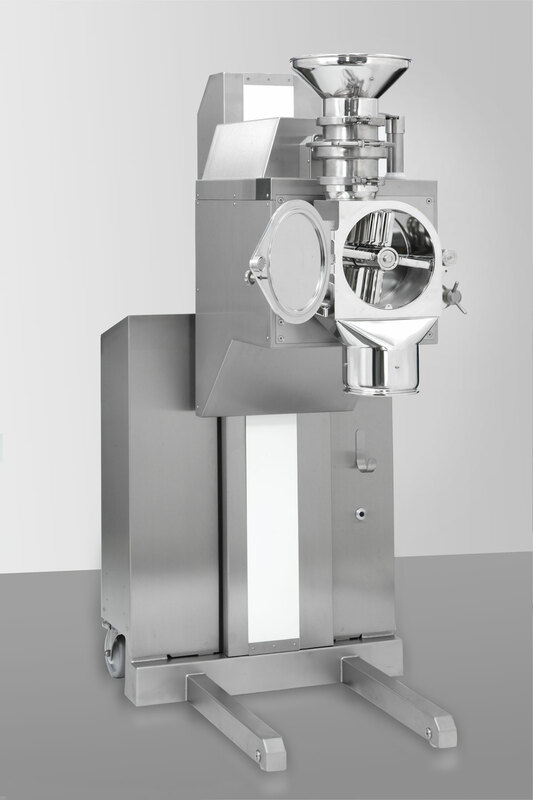 Conical sieving machines are used for the uniform size reduction of pharmaceutical ingredients. In addition, they can be used for mixing, sieving, and dispersing. They are available in a wide variety of different sizes – from laboratory equipment to high-capacity systems. Compared to other milling technologies available on the market, the sieve provides numerous benefits for production. It runs very quietly, produces a narrow distribution of particle sizes, and offers great design flexibility and higher capacity. This means that for the processing of low-density materials, a sieving system of this type can achieve a throughput that is 50% higher than that of conventional mills. The Turbo Sieve BTS made by L.B. 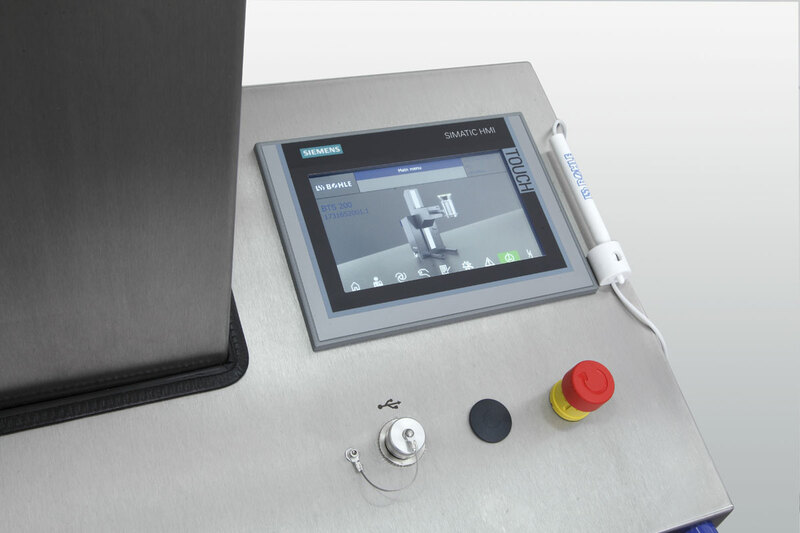 Bohle Maschinen + Verfahren is used for the calibration of particle sizes and thus guarantees an optimal particle size distribution. The use of various conical sieve inserts (hole sieves and friction sieves) supports the processing of both dry products and wet products at speeds of 150 to 1500 rpm (revolutions per minute). This makes it possible to achieve product capacities of two to three tonnes in one hour. Operators work with an easy-to-use 7in touch panel that provides access to user management and recipe management as well as PDF batch print management and includes a USB interface. The explosion-proof version of the Turbo Sieve can also be used for applications where compliance with the ATEX directives is required. The hygienic design of the sieve makes manual cleaning quick and convenient. The sieve container is easy to remove using the combination of bayonet mount and clamp ring. This makes it very easy to clean the individual components. As an option, the sieve housing can be equipped with cleaning nozzles for simple WIP cleaning where material residue is quickly removed from inside the sieve container. Cleaning nozzles on the sides of the sieve insert and below the angled drive are included in the scope of supply. They receive the cleaning fluid from a central water connection point. Hammer mills (also called turbo mills) are suitable for research and development as well as for batch production and continuous production. They are used for the size reduction of powders, agglomerates, and granulates. 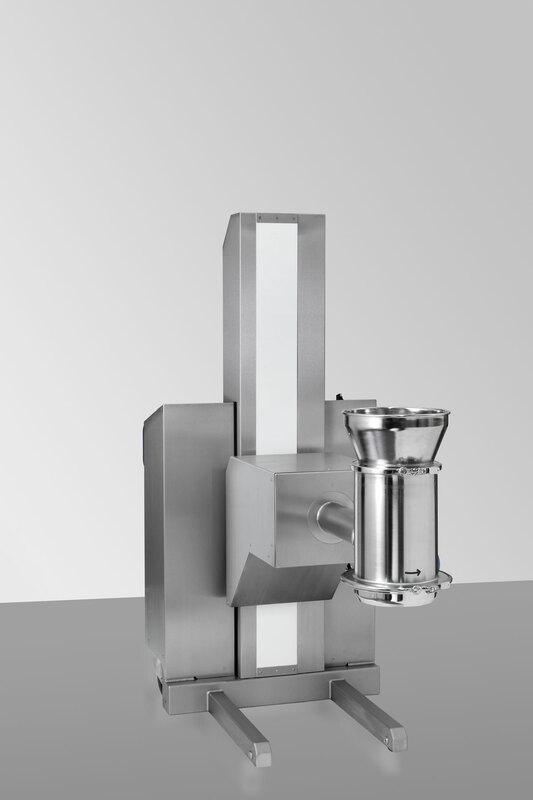 Hammer mills are used in particular if the application demands a precise particle reduction for hard-to-mill active ingredients and other substances. In addition, hammer mills are used to re-mill fragmented tablets. Tablets that have already been produced undergo inspection and may fail to meet the customer's requirements for various reasons. Such criteria include for example defects in their appearance, or not having the correct weight or hardness. If the tablet does not fulfil the specifications, the manufacturer can use the hammer mill to pulverise the tablets again and re-use the materials. The re-milling of the tablets and the recycling of the materials in production ultimately reduces the rejects rate and increases productivity. Hammer mills such as the BTM series (Bohle Turbo Mill) by L.B. Bohle can reach speeds between 600 rpm and 6,000 rpm and produce up to 1500 kg/h. To achieve this, the BTM is equipped with an automatic dispenser unit (rotary feeder). This allows the operator to feed the material into the milling chamber evenly and without overloading. In addition, such automatic feeder devices can control the powder flow in the milling chamber. Further benefits are that less heat is generated, and the process can be repeated using the same parameters. The internal rotor has two sides with different functions that support applications with wet or dry products. The knife side mills sticky products. The hammer side is used for crushing hard, crystalline products. In the hammer mill, the particle size is defined by the sieve size selected for the mill. The BTM provides different sieve inserts that can be used to reduce the material size to as little as 0.1mm. In the past, developers of cell cultures used ball mills to reduce the particle size of the initial blends. The ball milling process is time-consuming and relies on ceramic balls in a tumbling drum that pulverise the products. After a batch has been milled, the mill and hundreds of ceramic balls inside it need to be cleaned. This cleaning process can take up to one week. During this time, the mill cannot be used and is not available if for example a customer requests a user-defined, quick batch of powder. A manufacturer of such cell cultures was looking for a mill that would allow it to fulfil the requirements of its bio-pharmaceutical customers with greater flexibility and efficiency. In addition, it wanted the mill to require little space and to be mobile. For cleaning, it should be possible to remove the device from the original production room to make space for further production steps. The customer also defined product-specific requirements for the mill regarding temperature, particle size, and batch size. Cell cultures require a fine particle size for perfect resolution rates. Therefore, up to 50% of the batch must be smaller than 100 micrometres. Moreover, the medium is very susceptible to temperatures above 37°C, because the powder stops being bioactive at those temperatures. After doing some market research, the manufacturer contacted L.B. Bohle to carry out some milling tests. L.B. Bohle's BTM 150 Turbo Mill achieved the desired product size at a throughput rate of 375 kg/h in a closed container-to-container milling set-up (inline processing). For the test, the Bohle engineers selected a rotor speed of 6,000 rpm on the hammer side of the rotor. After a production cycle of 30kg, a temperature of approx. 30°C was measured. A cooling jacket was added to the milling chamber to provide better temperature control, dissipate the heat that was being generated, and thus to meet the manufacturer's specifications. To prevent condensation from forming in the milling chamber because of the cooling system, nitrogen is injected into the milling chamber and removed again through filters. In addition, the turbo mill used a 1mm sieve insert that achieves the same particle size as the ball mill. The BTM was able to achieve the high-precision results that the manufacturer was looking for. It ordered one hammer mill at first, and two more later. After the mills were installed, the manufacturer has been able to significantly increase its processing efficiency. It is now able to mill multiple batches (e.g. 1,000kg batches) instead of just one or two batches (using the conventional ball milling method) within one week, because the BTM can be disassembled and cleaned quickly and almost without tools.